Let’s talk for a moment about the lahara. (And no, not the faucet manufactured by Delta, in case you just Googled the term.) We’re talking about the lahara fruit (which the author mentions in passing in the note above). It isn’t something you’ll typically see in the grocery store. Though the lahara is inherently and noxiously bitter, curiously, when its peel is dried, the essential oil contained within becomes sweetly fragrant. The peels are steeped in alcohol to extract the elixir and mingled with sugar to make it palatable, thus creating the boozy beverage we know as Curaçao. Curaçao is naturally colorless, though the well-known and almost luminous version of it used here takes its brilliant blue hue—blue as the blue lagoon—from artificial dye. We gotta confess, it does lend a little mystique to the cocktail. While we’re not certain who first thought of this crazy concoction, we’re grateful they did. 1. Combine the tequila, Curaçao, triple sec, and lime juice in a large pitcher. Carefully fill the pitcher with crushed ice and stir gently to combine. 2. 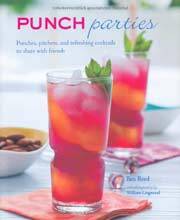 Pour the margarita into punch cups, margarita glasses, or whatever vessels you happen to have on hand. 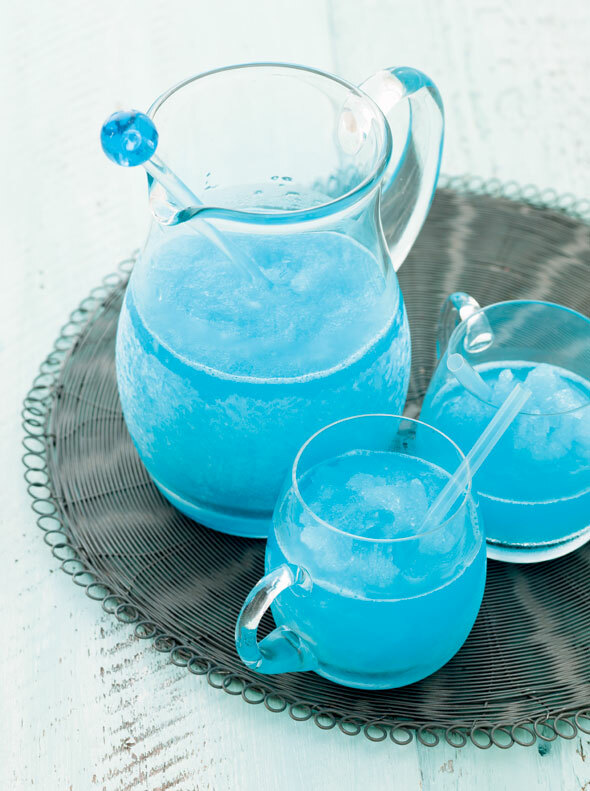 Blue Margarita Recipe © 2012 Ben Reed. Photo © 2012 Ryland Peters & Small. All rights reserved. All recipes and photos used with permission of the publisher. Equal parts Curaçao and triple sec make what has to be the best margarita I've tasted in a long time. So many margaritas are so sickly sweet or contain fruity flavors, but this cocktail is the essence of a great summer cocktail. I like the simple proportions of the ingredients, as it makes it so easy to mix a single drink or a pitcher. I'd add some salt to the rim of the glass and stick with the crushed ice rather than blending it next time. Probably best to be a little careful with these. Resist the temptation to quench your thirst! Last night was girls' night out for our little group. It was my turn to host, and this was the drink of choice. It had a nice citrus flavor with a major kick. I was amazed at the smooth flavor of the reposado tequila. We made some using blue Curaçao and some using orange Curaçao. This didn’t change the flavor, but the different colors were beautiful. If my local liquor store wasn’t out of the red and green varieties, I would've made those colors, too. (Imagine the red and green ones served at Christmas! Or picture the orange at Halloween, green for St. Patrick’s Day, or red at Valentine’s. And if you need an excuse to drink blue margaritas for fun, you could say you are celebrating National Smurf Day and use the blue.) How fun! I’m just glad all the “girls” are neighbors and walked to my house! Hah! Trudi, there’s not a doubt in my mind that you definitely deserve this sublime margarita. Looking forward to hearing what you think! Thanks for sharing this blue curacao margarita. I was looking for a recipe because I have a reasonably priced indigenous curacao and an expensive imported triple sec, and I was trying to use the curacao. Making for SuperBowl 50 tomorrow.So blue is perfect for Carolina Panthers?Can’t wait to try them out. Hah! Love the way you’re thinking, Holly! Go team! These are strong but awesome. My honey and I both love them! I pinned this to my personal favorite pins board. Thanks for sharing! Wonderful, Marie. And thanks for the pin!